This is Dug – the dog from the animated film Up. Dug is a perfectly attentive dog until he sees … SQUIRREL! I have a lot of empathy with Dug. A lot. My world feels occupied by so many metaphorical squirrels. Some might call them distractions. I like to think of them as evidence that everything is connected and thus requires exploration. Trouble is, the explorations are not always deep and meaningful. As a self-described easily distracted person, I move too quickly from one shiny bauble to the next. Despite inherent flaws that may make it difficult, I am on a quest to improve my powers of observation. In her book Improv Wisdom, Patricia Ryan Madson includes the principle: Attend to one thing at a time. I love the idea of this. It’s difficult though. It requires slowing down, being still and noticing more. Madson suggests going for a walk in your neighbourhood as if you were an alien. When I found On Looking in an airport book shop last week, I connected with it straight away. Alexandra Horowitz takes walks with eleven very different people and records their perspectives. Just as Madson asks and responds “How much are we missing? Almost everything”, Horowitz’s work unravels the filters we use to block out what’s all around us. 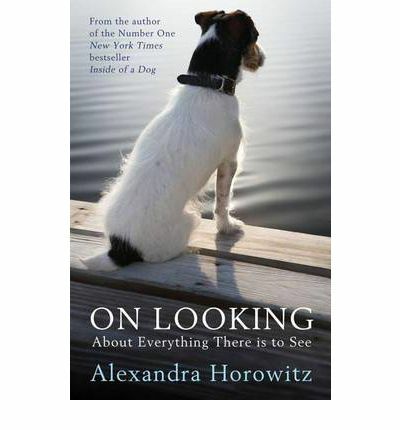 Horowitz explores the animate, inanimate and sensory perspectives of her walking companions. They include her 19 month old son, a doctor, an illustrator, a naturalist, an aficionado of letters and fonts, a geologist and her dog. My next step in sharpening my observation skills is sharpening pencils. Drawing lessons!